Kelly Cronin, the owner of the company is a mom with five grown children and has 40+ years experience of living and working on a farm – owning and training a large variety of animals. With 20+ years as Executive Director of the largest non-profit service bureau in the State of Connecticut, Kelly created a non-profit organization, “KELLYS KIDS INC.” to bring a much needed and successful program to schools and more. This combination ensures that Farm On Wheels will meet the needs of children and adults. Plus, you can be sure that the animals are the happiest and healthiest around. Farm On Wheels LLC is the farm that travels to you. We are available 7 days a week from March to November. We guarantee the animals are suitable for children of all ages and for any occasion. The Farm has 12 acres of protected land and over 60 animals. 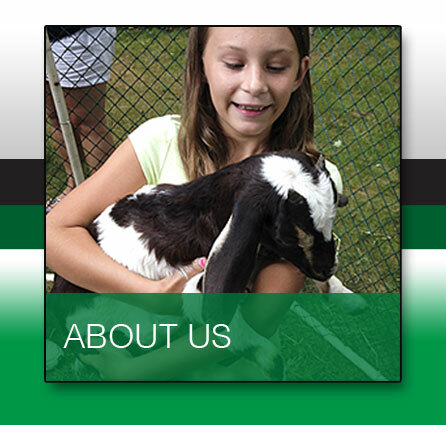 Farm on Wheels is possibly the best, certainly the most well known, and absolutely the most fun petting farm and pony company in the Connecticut area. We have clean ponies and adorable little farm animals that we bring to you. We love what we do - Sharing the joy of gentle animals with children and adults Our friendly staff helps make sure every child and every parent is happy. Farm On Wheels is a great experience for children. It’s a chance to learn hands-on about animals. Sensory detection skills are used during the visit. Children will encounter how animals look, what sounds they make, what they feel like, and also get the chance to experience that particular smell only farm animals have. All of this combined makes for a very fun and interactive visit from us and our animal friends.